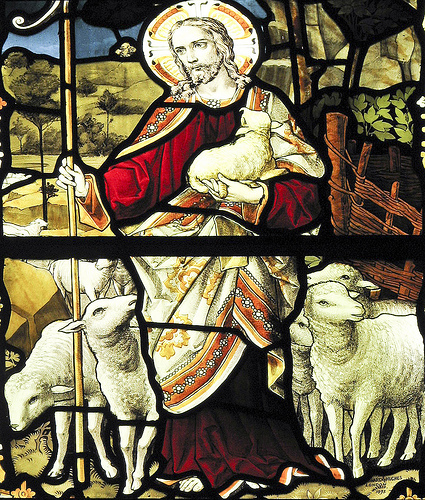 Have you ever wondered why sheep need a shepherd? In Psalms 23, God tells us that sheep need a shepherd for many reasons. Sheep have poor eyesight. Since they can’t see well, they need a shepherd to carefully guide them and watch over them. Sheep have no natural defenses. They can’t run fast and they have no sharp claws or teeth. The shepherd uses his rod and staff to protect them from becoming dinner or lunch for wild animals. Sheep also have heavy wool, and that is why the shepherds lead the sheep beside “the still waters.” Rough waters could make them drown, because the wool soaks in the water and weighs down the sheep. Sheep are not very smart, and they sometimes just wander off. Sheep also need to “chew the cud” so they can digest their food. This is why the shepherd makes them lie down in green pastures. The shepherd protects his sheep from many harmful things, the same way the Lord protects His people from Satan and sin. Because I am just like a sheep, I need Jesus as my shepherd. And I will follow him.